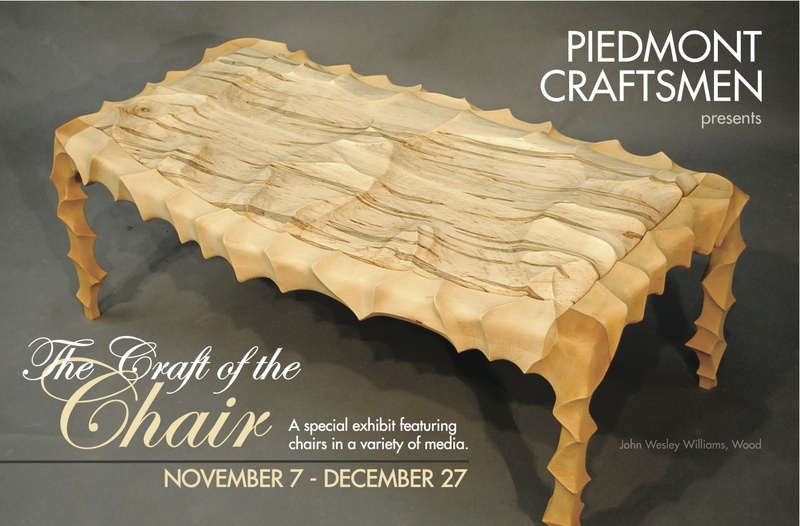 Piedmont Craftsmen is teaming up with Reynolda House to cross promote their exhibit "The Art of Seating: 200 Years of American Design" August 23 - Dec. 31st with our exhibit in the gallery "The Craft of the Chair" November 7 - Dec. 27th. The opening reception will be on Friday, Nov. 7th from 7-10pm during the gallery hop. Few objects tell the history of modern design as eloquently as the chair. Aesthetic trends, the emergence of new technologies, ergonomics, social and cultural developments are reflected in the evolution of the chair design. The contemporary chair artist Vivian Beer will be giving a Designer Talk at Reynolda House on Thursday, November 20th at 5:30pm. She will talk about her chairs, hand-made steel works that function as both sculpture and seating. Her work is in the collection of such museums as the Renwick Gallery of the Smithsonian American Art Museum. Check out her out in action!